Silk-tassel Bush. An strong growing evergreen shrub with dark, sea-green leaves reaching a height and spread to around 4m. 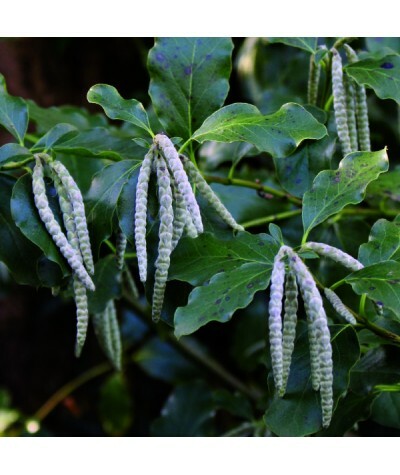 Attractive clusters of long silver-grey male catkins from mid-winter into ..